The information provided in www.singaporeprobate.com does not constitute legal advice. Articles may or may not be written by lawyers. This site should not be used as a substitute for competent legal advice from a licensed attorney. You should obtain specific legal advice in relation to your particular situation from a lawyer before starting on any venture. 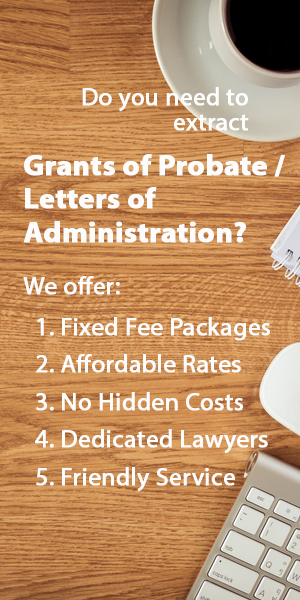 The purpose of this site is to assist in dissemination of information that may be helpful to those interested in learning more about wills, probate and intestacy matters. However, although we try our best to ensure the accuracy of the information on this website, you rely on it at your own risk.